Niche Dreams - Part 9: The Turning Point? 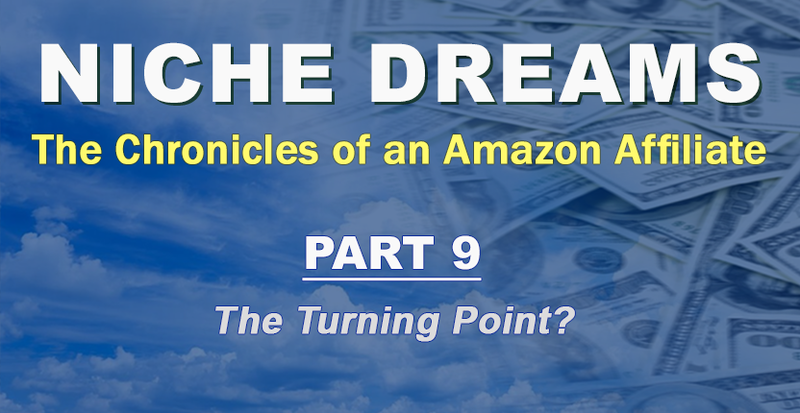 Niche Dreams – Part 9: The Turning Point? What a month March has been. It’s hard to top February, and although I didn’t do so through earned commissions, there were some huge increases in traffic. I also connected with a respected figure in my niche who actually reached out to me! This led to a guest post opportunity for myself as well as an interview of this person that I posted on my site. It was a nice unexpected surprise for sure. That wasn’t the only surprise. Another one of my pins took off with the most impressions and clicks that I’ve ever received. It was by far my most successful pin by a wide margin. It’s quite a sight to see social traffic outnumber organic traffic, even if it is for only a couple of days. I still don’t know what the magic formula is. All I can say is to just try to make the pin as appealing as possible, complement it with a good description, and make sure to use plenty of proper hashtags. Even with all this success, March might’ve been the most stressful month of this affiliate journey. Lately, it’s been extremely busy as far as real website design work is concerned. A lot of projects and short deadlines. I’m not complaining, but being this busy has made me feel a little neglectful to my niche site as well as this one. I have my own personal goals for posting and scheduling content. Unfortunately, in order to maintain some sanity, it’s been necessary to scale back the frequency of my posts. If this pace continues, perhaps it’s finally time to start outsourcing some of my content in order to meet these internal demands. This part is getting a little predictable at this point. No link building and very little movement on the metrics. Although I did do a guest post, it was on a newer site and probably hasn’t registered in Search Console yet anyhow. For those of you keeping track, DA went up by 6 points and PA by 1. 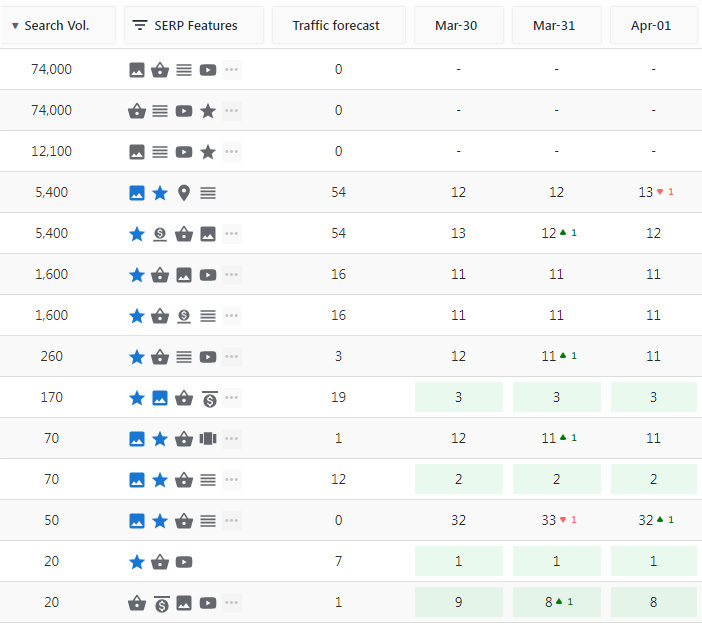 These changes are most likely the result of MOZ’s updated Domain Authority algorithm that was rolled out in early March. So not much really to get excited about. Am I upset with the lack of movement on these metrics? A little. However, they are just statistics. The truth is, organic traffic is taking off. I think this is primarily due to my efforts in creating brand awareness. There’s a consistent flow of Pinterest and now Instagram posts, which I have no doubt is sending positive signals to Google. Of course, posting content on the website and optimizing for keywords is surely another important reason for organic growth. My hope is that I’m digging my way out of the Google Sandbox and all of these efforts will be rewarded with decent rankings and expanded exposure. Still nothing to report on the mega keywords, however everything else is either locked in place or made some nice gains! These tracked keywords as shown in the SE Ranking interface are all nearly in the top 10. In fact, after running a search volume update request on one set, the two single/plural keyword variations show an increase of 1,000. Yet, the setback in rankings early last month due to Google’s algorithm update has pretty much fully recovered! This means they’re getting a bunch of impressions but still need to reach top 5 or top 3 to see a meaningful amount of clicks come through. Even though I don’t report on the rankings for the other search engines like Bing and Yahoo, I still monitor the same keywords. It’s amazing to see just how dominating Google is. It shouldn’t be surprising but when you look at the below screenshot, the other 3 organic traffic sources can’t even compete when combined. One thing to note is the session time for DuckDuckGo searchers. It almost rivals Google. If they ever decide to unleash their own webmaster’s tool, I’ll be sure to jump on it asap. It’s not even close. Google wins by a landslide. More clicks, more orders, and a slightly higher conversion percentage far outweigh the few returned items and less dollars earned. Here’s the thing. Yes, I didn’t earn as much as I did in February. Yes, February has 3 fewer days than March. But you know what? One huge sale really tipped the scales that month. This month, things were more spread out. Honestly, I’m a little peeved because several items that were ordered a couple of days ago have yet to ship. That would’ve pushed my earnings past last months for sure. I’ll get that money eventually but it would’ve been nice to post on this report. The fact remains: I earned $100.46, received 436 clicks (net +170) which resulted in 73 orders (net +33). It’s getting to the point where I’m disappointed if one item isn’t ordered every day. I certainly get my fair share of clicks each day. So when I look back at this month’s earnings vs. February’s, it has me extremely excited for projecting the future. Could this be a turning point where some exponential growth starts to happen? 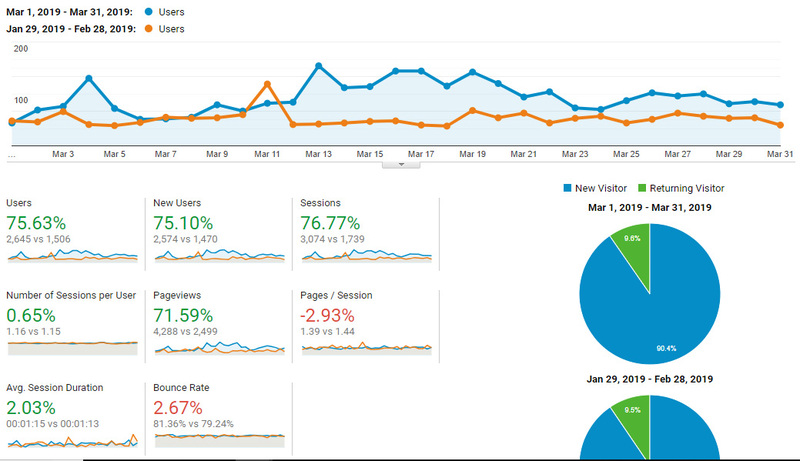 More than a 75% increase in users and sessions. Let the magic begin! With this sudden surge in visitors, my mind is now constantly spinning. It’s hard to temper expectations and not speculate where things are going to be 6 months from now. So why not do it? Let’s say each month for the next 6 months that traffic grows at 50%. At that rate, the website would be getting just over 20,000 unique visitors in the last month. Doing some math with this month’s earnings would mean that approximately $760 would be earned in that final month. I’ll take that! I want more and sooner but the idea of that earning potential is tantalizing. Of course, things could always come crashing down. I don’t think anything could ever deter me from building this niche site and brand. However, the truth is that I’m relying on so many different external factors. I can do my best to influence my rankings in Google, promote the brand in social media, and write guest posts for others to share. Unfortunately, all of these things are controlled by 3rd-party entities who could make drastic changes which impact the site negatively. Do I think that will happen? No, but it helps me respect the rules, guidelines, and boundaries set forth by these entities. It seems like I’m not the only one who had an incredible month for growth in Amazon affiliate sales. Spencer Haws, who is running Niche Site Project 4, posted some impressive numbers as well. For those of you unaware, NSP4 features a group of participants who built and launched a niche site no later than August 2018. Everyone is several months into it at this point and hopefully starting to see some real progress of their own. 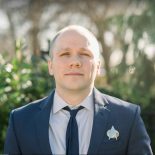 Spencer definitely knows what he is doing as he’s built several niche sites previously. However, this time around, he’s along for the ride with everyone else and offers some insights into what strategies he employs. It’s interesting to see our growth spikes coincide. I think it proves that if you have patience, produce meaningful content, and promote that content through guest post links and social media, that you’ll eventually get some Google love. I still think you need to have proper keyword research and a targeting plan. 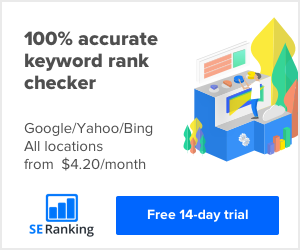 Don’t expect to rank with keywords that have volumes of 10,000 monthly searches or more within this timeframe. Although, if you go after a bunch of keywords with volumes in the hundreds, you should have some good success. Now, as I touched on earlier, here are a few things that happened that really got me excited about the future of my brand. Remember this is just the route that I’ve chosen to go down and doesn’t mean there are other ways to successfully build a brand. Taco Fleur likes to take his kettlebells everywhere! Earlier in the month, I awoke to see a Facebook message from Taco Fleur. Yeah, he has quite an interesting name but I immediately recognized it from my research and relationship with kettlebells. Not only is he a popular certified instructor, but also an author and producer for many products on Amazon. One of those products which I also promote on my niche site. His message simply asked if I was the owner of that niche website. In my head, I’m thinking “Did I do something to upset him or piss him off?” I tend to think defensively first even though there was no malice in the message at all. Anyhow, I replied back and verified that I was indeed the person who owns Kettlebell Krusher. We messaged back and forth a couple of times and came to an agreement for marketing that would benefit us both. I was super excited at the idea! Shortly thereafter, I wrote a 2000+ word personal story about my experience with kettlebells to share on one of his websites. I was able to then share this on social media with my friends and family. I found it to be quite the honor to not only have my story on his site but also link back to my own. I then came up with the idea to do another interview with him that I could post on my website. The questions I asked weren’t just some filler b.s. Rather, they were questions I wanted answers to and that I thought many others would as well. After all, here was this resource that I could ask anything and gain some great insight from. I also wanted to make sure I was giving something in return. So the last question was more or less open-ended and allowed for talk of new products and things he might want to promote. The whole thing was a win-win for both of us. It wasn’t until I was putting the final touches of this interview and making it ready for publication that I realized something important. He’s the guy that I used as a stock photo on the home page of my niche site! He didn’t even mention it! I’ve been amazed at how humble and down-to-earth he is. I found out that he has many skills outside of kettlebells too. Web design, graphics, and video production are a few that come to mind. It especially blew me away seeing the professionalism with the video cuts, effects and overlays that he does for his own training videos. It’s top notch stuff. I’m actually in the middle of reviewing another one of his products that I hope to complete in the next couple of weeks. So not only do I get access to great new material that I can comment on my site, but also something I can use to help me with my training and learn from. I feel extremely grateful to have all this fall in my lap essentially. I don’t think it would’ve ever happened had I not put myself out there with my brand. When I say massive, I’m speaking relatively of course. The pin above is by far the one that performed the best in my several months of using Pinterest. Over 10,000 impressions with 314 clicks in just a couple of days. I realize that isn’t a huge conversion ratio, but that isn’t important to me. Seeing visitors coming to your website, to that particular page every few minutes (some 2-3 at a time) is astounding. It’s an informational post, so I wasn’t expecting much in the way of sales to occur from that traffic. However, my main priority is still to build an audience and a following. If I try to monetize every little piece of my website, it’ll probably backfire. Besides, I know what it is like just to want to get some information and instead be bombarded with advertisements. I can’t tell you why this pin took off. Is it because I put a question in the graphic? Was it because of some hashtags that were used? Or maybe some other major Pinterest user repinned it and shared with their own followers. I really don’t know. The hard part is knowing that, like a candle, it will burn brightly before fading away. I wish I could dedicate more time to creating pins and give the platform much more attention than I can afford. I’m just stretched too thin. However, I do have an idea which I’ll discuss later of something that I believe will be very helpful. There I am, in a not so flattering position. In my goal of trying to make one Instagram post per day, it’s hard to always be creative. And yet no matter what is posted, there’s always at least a few likes and the chance of gaining some followers. I’ve resisted temptation from following people back. I understand that this might lose me some followers but if people aren’t interested in what I have to post then they aren’t really my audience anyhow. I don’t think it helps brand awareness to have a bunch of businesses following one another just to boost their counts. For that same reason, I will NEVER buy any followers. That’s black-hatish in my opinion and is easy to spot too. I’d rather have 10 people who are genuinely interested than 10,000 robots that never engage with my content. As far as analytics shows, there hasn’t been any referrals from Instagram yet. That’s not too surprising since I can only have a link in my bio. Hell, I might never reach that magic number of followers that allows for the swipe up to go to a URL feature. I’m okay with that. It’s all about sending signals to my website. I’m telling Google, “Hey I’m putting in the effort to spread the word about my brand.” I think there is absolutely an advantage given over other brands with zero social media exposure. Although, there still needs to be consistency with the quantity and quality of posts that are being made too. Now that I have both Pinterest and Instagram actively linked to my niche site, I need to concentrate my efforts more. I said earlier about wanting to have more time to dedicate to Pinterest. Although, I’m in no position to hire a social media expert or graphics guy to create pins, I can finally try something that many people have raved about, Tailwind. Tailwind comes highly recommended by several veteran Niche Pursuits group members. What does it do? As far as I can tell, you can schedule posts and pins in advance as well as repost and repin. It’s supposed to help automate a lot of the grunt work for both of these platforms. Apparently, you can also reshare your best content to help keep that social traffic flowing to your website. There’s also a hashtag finder which has me very curious. Knowing which hashtags to use would certainly make my life a lot easier. I also read there’s an analytics section which can gauge what’s working and what isn’t. Finally, there’s Tailwind Tribes. A community of sorts. I don’t really know much about it, but all the reviews say that it is one of the best features. I think you connect with others who share similar content which you can curate. All of these benefits can be tried for free and afterward the standard pricing of $9.99/monthly seems extremely reasonable. I’m going to check it out for sure, and I’ll let you all know what I think next month! Owner-operator of Precise Online Management. I also manage Kettlebell Krusher, a website dedicated to all things kettlebell as well a blog for my weight loss progress. Congrats on the good month, Ryan. The story on how you got the interview and guest-post is motivating me contact companies and people in my niche. It would be nice if it does come true! Although, I have to keep grinding for sure. I’m glad my experience has helped motivate you. The worst thing that could happen is that you get no response (I’ve gotten plenty myself) or a pass. If you can network with others in your industry, it can be the beginning of a great business relationship.